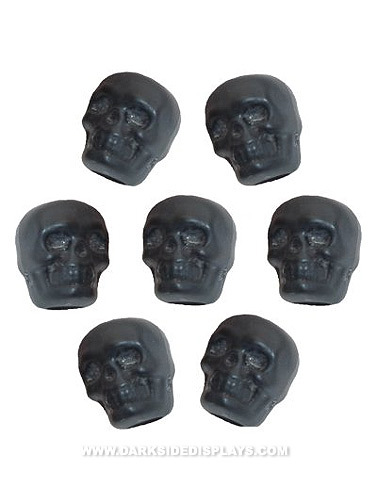 Create spooky Halloween crafts and jewelry with these black plastic skull pony beads. Matte finish. Black Skull Beads measure 10mm x 9.5mm. 50 ct.